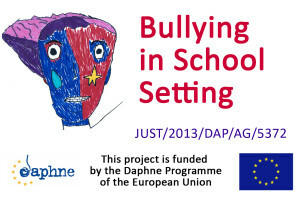 In December, 2014, Animus Association Foundation started the implementation of a two-year long project, Introducing Participatory and Child-Centered Approach for Early Identification and Prevention of Bullying in School Setting in 7 EU Countries, in partnership with 6 NGOs from Romania, Slovakia, Sweden, Germany, the UK and the Netherlands. The overall goal of the project is to involve children in preventing bullying and in creating safe environment at school through a participatory, interactive and empowering way. 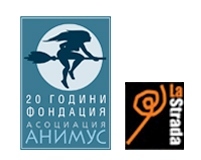 We are proud to inform that the project was ranked first among EU projects. The participating countries will provide for social platforms that enable students to share their personal opinion and experience on the topics of bullying, violence and safety. Students will have the opportunity to be active participants throughout the whole process. 90 students in Bulgaria will take part in interactive workshops and will share their opinion and suggestions regarding bullying in the context of their schools. Another 90 students will have the chance to partake in the preventive workshops, providing concrete guidelines and programs that the children could apply in situations of bullying. Animus Association Foundation will provide psychotherapeutic programs and psychological support to 120 students, victims of bullying, as well as their parents. AAF centre will provide counseling to victims of bullying as well as perpetrators. The project provides for intensive and long-term active capacity building training of 12 teachers, aiming to improve their capacity to identify bullying timely and to react in situations of bullying and collaborate with children and other stakeholders. There will be supervisions and methodological support regarding specific cases of bullying. Additionally, there will be an extensive training for a total of 120 teachers in the framework of 6 trainings. The project envisages activities to improve the capacity of stakeholders from the wider community to react in situations of bullying and collaborate with children. 10 500 parents will be targeted with information materials on early signs of bullying and 160 parents will be empowered to provide support of their children. Through a multi-level child-centered approach, the project aims to evaluate the present legal framework related to bullying prevention in the 7 participating countries and most importantly aims to instigate a public dialogue for policy recommendations.